TTB Permits - Alcohol Tobacco & Trade Bureau | Burleson & Craig P.L.L.C. 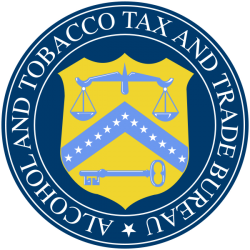 If you are interested in TTB permits for the manufacturing of alcohol of any kind, additional permits are required from the Alcohol and Tobacco Tax and Trade Bureau. This is a bureau under the Department of the Treasury that is responsible for assuring compliance with federal alcohol permitting, labeling, and marketing requirements to protect consumers. This adds another layer to the permitting process, and it is one more opportunity for us at Burleson & Craig to help. We can get your brewery, winery, distillery or formula properly approved and permitted at all federal, state and local levels.